In October of 2011, after experiencing hundreds of paranormal experiences throughout his lifetime, Founder and Lead Investigator Andy Frey formed Northeastern Paranormal Association (NEPA). NEPA became an official organization in May 2012. In June 2013, NEPA was recognized as Non-Profit Charitable Organization under Internal Revenue Code 501c3. 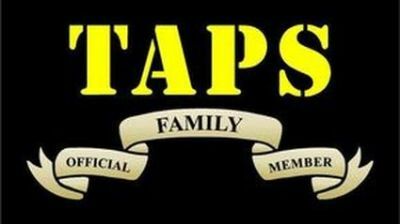 In November 2017, NEPA became an official Member of the TAPS Family. The name of the organization was officially changed to Susquehanna Investigators of Paranormal Activity(SIPA) in April 2018, due to the existence of another TAPS Family Member with a similar name in the State of Pennsylvania. …are to educate, research, investigate and assist. Our FREE services are available to anyone; individuals struggling with potential paranormal entities and those who, just like Us, seek clarity and insights. We approach each investigation with an open mind and without judgment of religion, race, income, sexual orientation, or any other factors. Using state-of-the-art equipment and rigorous data evaluations, our Team is dedicated to ensuring the integrity of what we do. We base our determinations off the evidence we capture. SIPA uses high tech and professional investigation equipment. Many of the devices used have been seen on Ghost Hunters, Ghost Adventures, and numerous other Paranormal Shows on other media outlets. Our Team Members, in their “real life”, span the professions of a 1st Responder, Sales Representative, Social Service Professional, Forestry Professional, Security Guard, Student, Teacher, Human Resource Professional, Musician, and Human Capital Management Professional and Speaker. Our Team is comprised of individuals with varying degrees of skills, talents, and sensitivities. It takes a village – and we have one! Poltergeists, Angels, Demons OH MY!